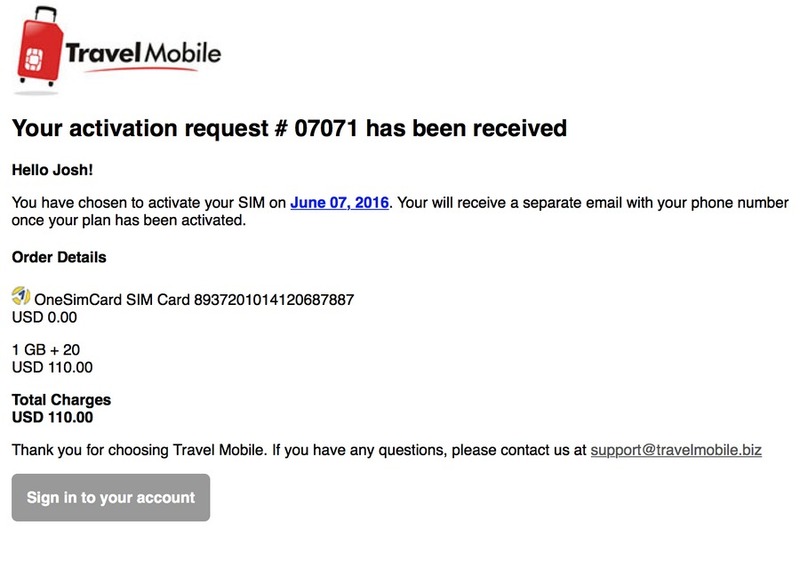 Home » Product Reviews » TravelMobile Review: Is This International SIM Card Too Good To Be True? International travel has become so easy and affordable in the last 15 years, it’s within reach of almost anyone. It’s no longer an exclusive perk for the rich and famous. Budget airlines made that easy. User-friendly online booking systems made that easy. User review websites have made destination research easy. But there has always been 1 element that felt backwards, like it was stuck in the previous decade – using your ever-present mobile phone in a foreign land. You had 2 options: take the risk racking up a devastating phone bill thanks to excessive international roaming charges, or take your luck finding a local SIM card. In recent years several international SIM card providers have popped up, but I’ve been hesitant to jump on board due to ridiculously complex plans and usage limits that would have bamboozled Albert Einstein. 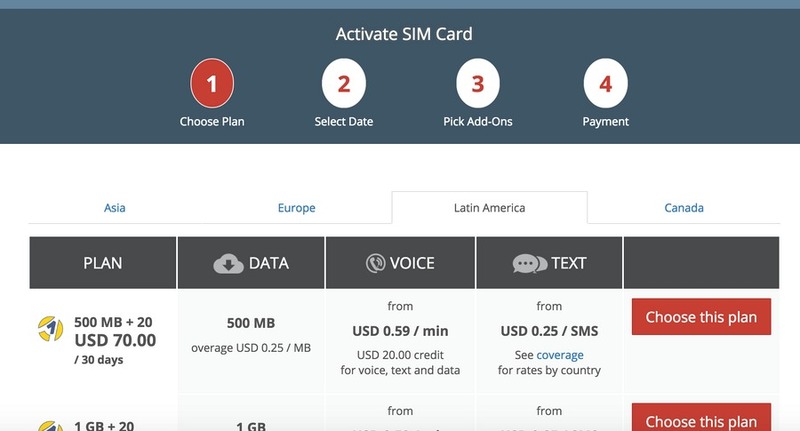 So when I recently found out about a new simplified international SIM card from TravelMobile, I was intrigued. Was it too good to be true? After using the prepaid SIM card for a month, I was pleasantly surprised – most aspects of the service were smooth, simple and fast. But because of the complex nature of international telecommunications, there are still some “gotchas” to be aware of. But if you follow my tips below, you could save a lot of money - not just on your next international trip, but for future trips as well. Also check the SIM size supported by your device: mini, micro or nano. One of the other reasons why I like the OneSimCard option is they provide a 3-in-1 SIM card so you can’t get the size wrong! My SIM card was delivered within a couple days, but to be safe plan ahead and order your SIM at least 2 weeks before your trip. Check delivery times by country here. Don’t worry about ordering too far in advance, you can activate the SIM later (on the day of your departure). If you’re hopping between countries, the OneSimCard option will work best – it’s supported in over 100 countries. 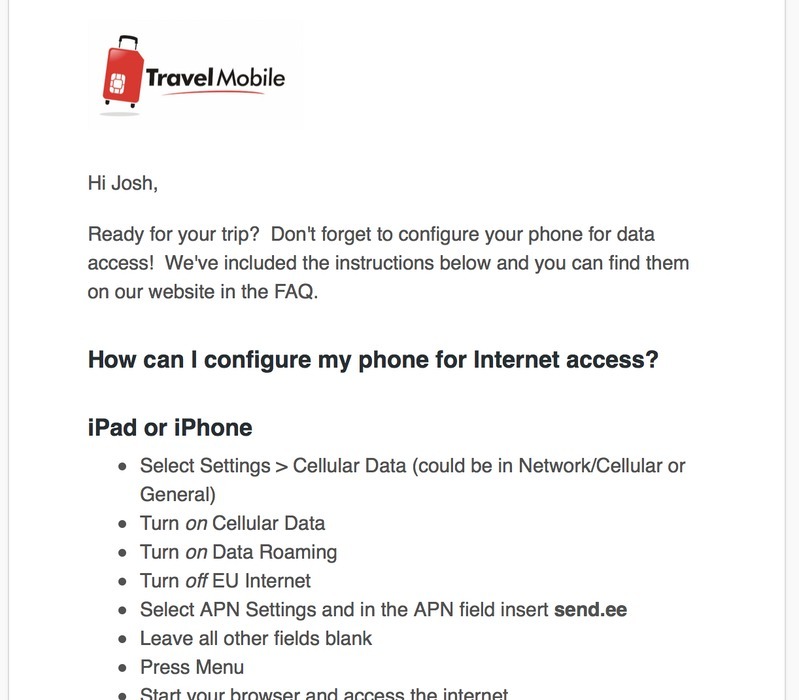 A plan from TravelMobile can be used in specific countries (just click the “see coverage” link next to each bundle – it’s pretty broad and chances are you’ll be covered). Outside that list, the SIM will still work but be charged at higher rates. For example, if you’re travelling to Asia, your plan will work perfectly in: China, Japan, Malaysia, Singapore, South Korea, Taiwan, and Thailand. As you skip from country to country, data/voice/text credit will be drawn down just like a regular prepaid SIM. No need to change any settings. If your mobile handset is locked to a particular carrier, then any 3rd party SIM card won’t work. Check with your carrier about the process for unlocking your handset. Alternatively, there are numerous low-cost phone unlocking services online (such as UnlockBase, MobileUnlocked, CellUnlocker). Unlike other international SIM providers, TravelMobile’s options are straightforward and easy to understand. After you’ve decided on a TravelMobile SIM bundle, completing the online ordering process is a breeze. Screens are clean, simple and minimalistic. Inline comments and tips ensure there’s no possible confusion, even if you feel technically challenged. 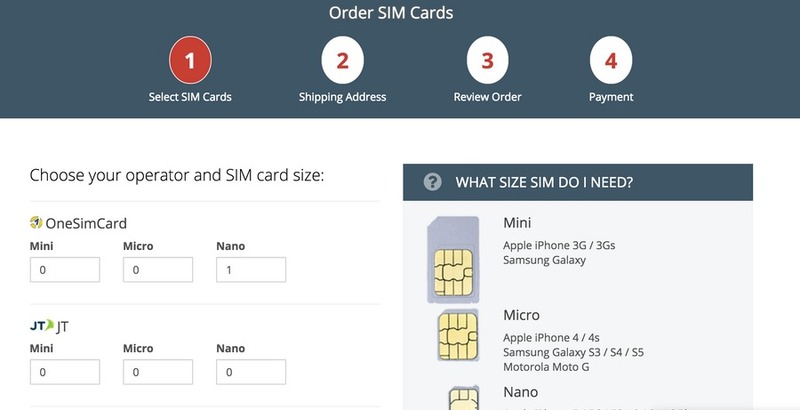 Don’t know what size SIM card to choose, don’t worry, follow the simple guide during checkout. If you have any questions, TravelMobile’s FAQ list covers most bases. But for a quick answer, try the live online support. Simply click the blue and white question mark icon in the bottom right corner of their website to connect with a friendly live support rep.
At every step of the process – from ordering the SIM card through to activation – automated emails help keep you on track and ensure smooth communication. I received an email to confirm my order, and another when my SIM was shipped. 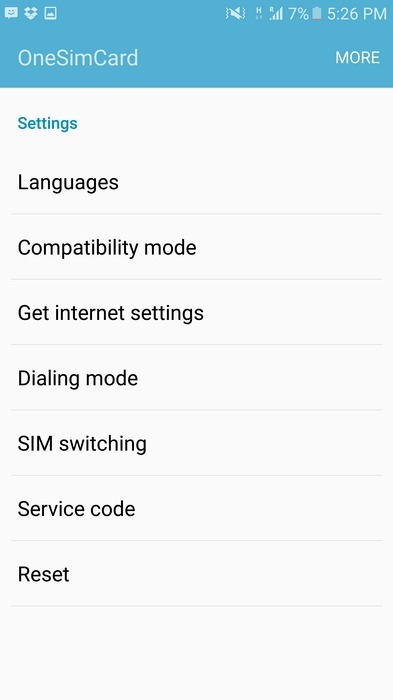 Once the SIM arrived in my hot little hands, another email provided handy step-by-step instructions for configuring the Internet on my phone (I didn’t need those as the automatic settings worked perfectly). 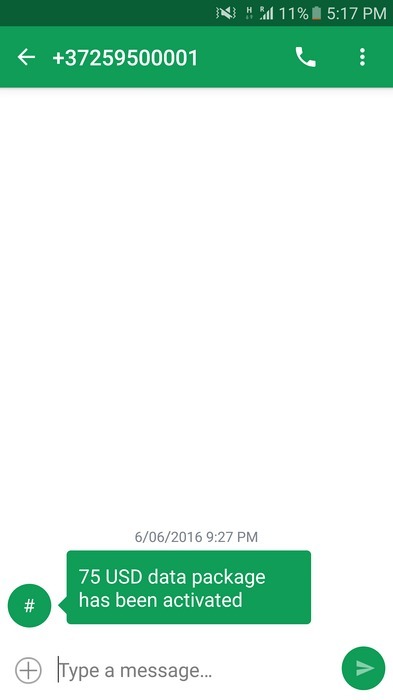 Once the SIM activation was complete, a final email confirmed that along with my shiny new phone number. As an experienced traveler, I’m so proficient at switching SIM cards I could do it with my eyes closed in a pitch black room. But even if you’re a complete technophobe, the simple printed step-by-step instructions included with the SIM made it completely foolproof to install and use. In my case, once the SIM was installed the automatic APN (Internet settings) kicked in. No need to navigate any deeply-hidden phone menus. But for any reason if the automatic APN doesn’t work, the step-by-step instructions have you covered. One of the most important factors for any SIM card is network speed – and that’s no different when you’re overseas. 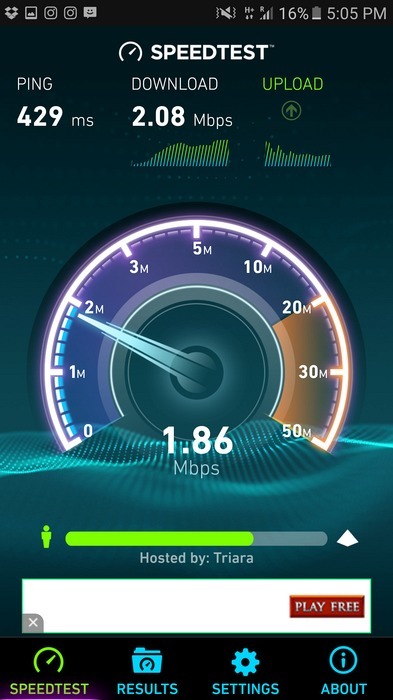 As I was using TravelMobile’s service in Mexico, I ran a few speed tests and the download rate was consistent and reliable, clocking in at a very respectable 2.0 Mbps (Megabits per second). 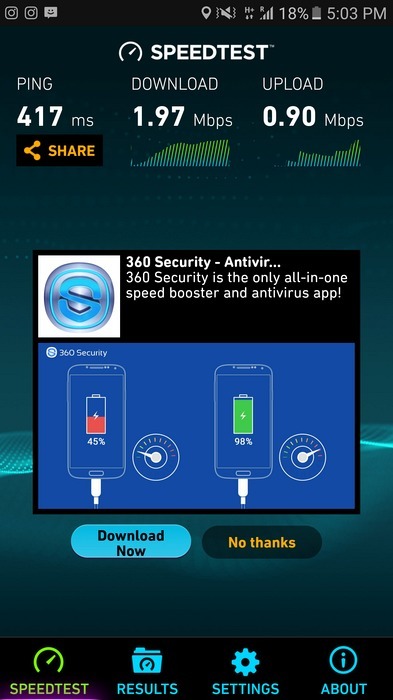 That’s more than fast enough for VoIP call (such as Skype, Facebook Messenger, Viber, Whatsapp) or even a low-resolution video call (Facetime). I was able to stream a Facebook Live video perfectly fine at an adventure park in Mexico (until I entered a cave!). Naturally, your speed will depend on the local carrier (what country you’re in), distance from phone tower and local congestion (who else is on the phone network at the same time). But after using the SIM for a month, I’ve been very pleased with the consistent speed. TravelMobile’s US SIM cards don’t support tethering (but they do offer unlimited Internet at 2G speeds after the 3G/4G quota is used up, so that's a pretty good trade-off), but their other SIMs (such as OneSimCard and JT) do support tethering (but no unlimited 2G). This is particularly handy when you’re travelling with friends and family and wish to share your Internet connection. Just keep a close eye on your data usage to ensure you don’t exceed your quota. 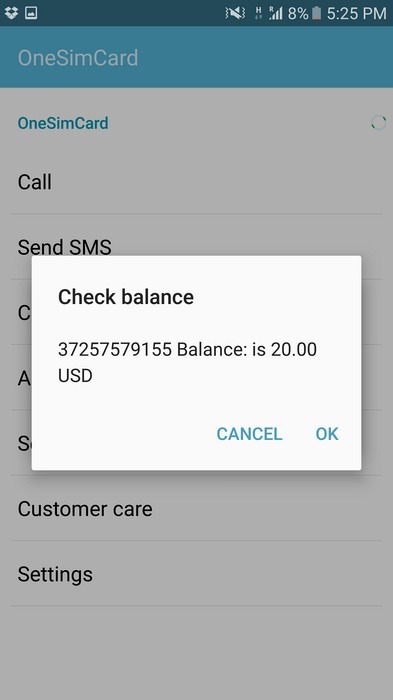 The SIM card I used automatically installed an icon on my phone for quick and easy access to common tools, such as checking credit balance, without the need to memorise codes and numbers. While the typical method for checking credit still works fine (see TravelMobile’s FAQs for specific numbers/codes), I found this method more user friendly. 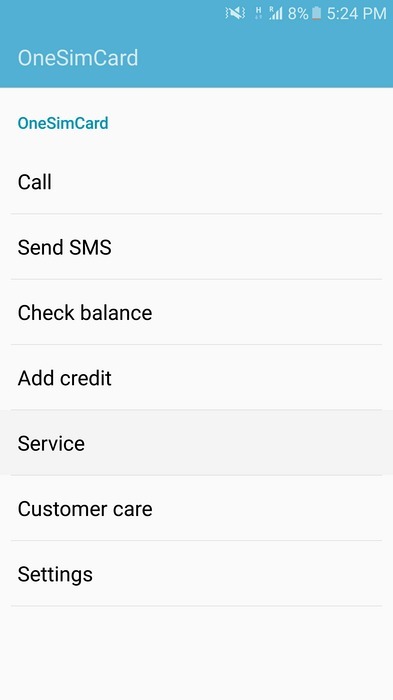 If you make more calls or send more texts than the included bundle provides, topping up more credit via the TravelMobile website is super easy (voice/text/data or just data only). Don’t take this for granted. Last year while we travelled through Canada I bought a local SIM card which sounded great on paper. However, when it came time to topping up credit online, they only accepted a Canadian or US credit card. What?! So every time I needed more credit I had to drive 15 minutes to the nearest store, buy a credit voucher and then apply the code on my phone. Archaic. United States (Lyca & Red Pocket): typically expires after 30 days with no credit. But TravelMobile can only guarantee 14 days as US providers tend to recycle their numbers more frequently. Credit applied to SIM lasts 30 days. Europe (JT): expires after 4 months with no credit. Although data bundles are only valid for 30 days, credit (for voice & text) is valid for 3 months. Global (OneSimCard): expires after 12 months with no credit. 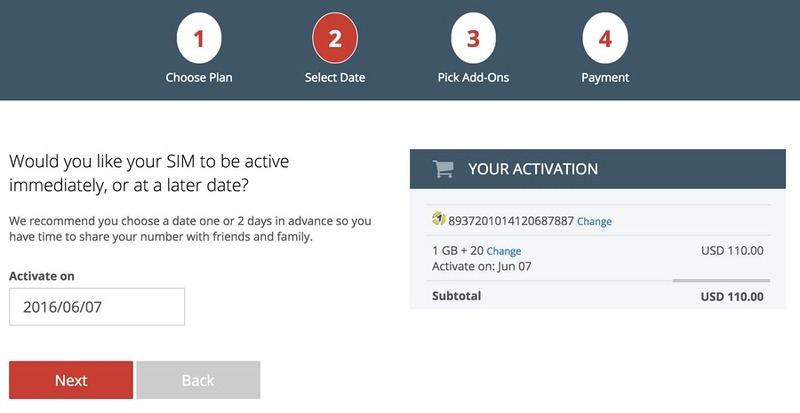 Although data bundles are only valid for 30 days, credit (for voice & text) is valid for 10 months. This is another reason why the OneSimCard bundles are my preferred options. 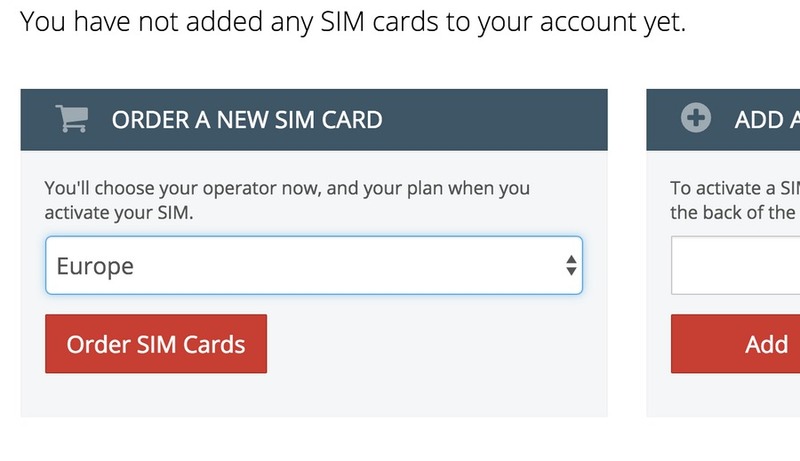 Naturally, if you use one of the 2 US-based SIM providers, you’ll receive a US phone number. But with my preferred option, OneSimCard, the phone numbers are based in Estonia. If you’re not sure where that is, don’t worry, here’s a map. It might surprise you that Estonia has one of the most advanced telecommunications networks in the world. In fact, it’s been described as “one of the most advanced e-societies”. That said, your friends or contacts back home may have to pay long-distance rates to call an Eastern European phone number. But if you’re like me, and rarely use a phone for actually making phone calls, then you won’t even notice. TravelMobile’s SIM bundles vastly simplify the complex nature of dealing with multiple telecom providers, but if you happen to stray outside one of the packaged countries using OneSimCard, rates may be substantially higher, or in some cases data access may not be available at all. In all fairness, you’ll really have to try hard to find a country without coverage (I doubt you’re taking a vacation to North Korea any time soon). But either way, to avoid any surprises take a look at TravelMobile’s list of countries and rates (under the heading OneSim). And head over to OneSimCard’s site for a comprehensive list of supported countries. With the OneSimCard option, if you go over the data quota then your available credit will start to be chewed up. Depending on your country this can start out at US$0.25 per MB or higher. I’d prefer the Internet connection to just drop out. So set a data usage alert on your phone and follow these instructions for Android & iOS. If you’re considering one or more international trips over the coming year, then a prepaid SIM from TravelMobile could be just the thing you need to keep in touch with friends, family or colleagues, without breaking the bank. The more frequently you travel, the better value a reusable SIM will provide. There are some caveats to be aware of which I’ve described in this article, but once you’re familiar with those, it will all be smooth sailing. 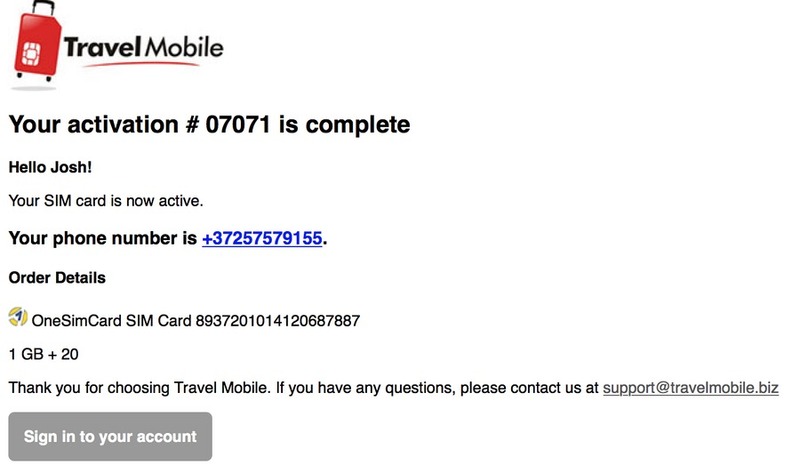 After my experience with TravelMobile, I’m happy to give them a hearty thumbs up - this is one travel deal that isn’t too good to be true. That is by far one of the best product reviews I've ever read... Informative, well laid out, and honest. Thank you! Hi, great informative article. I am digital nomad / frequent traveler who also runs a cell phone unlocking website. Please feel free to get in contact with me, I'd love to share some insight or contribute to your blog.